Director Chester M. Franklin, with Rin Tin Tin, Claire Adams, Fred Huntley. 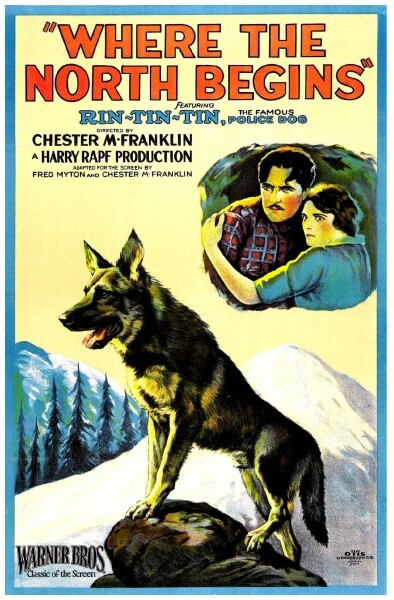 This was the third film for up-and-coming canine actor Rin Tin Tin. A German Shepherd dog, who as a puppy was “adopted” by a wolf pack, saves the life of a fur trapper. As a result, he forms a bond with the man that is stronger than the one he has with his adopted pack. 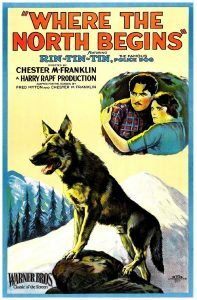 Rin-Tin-Tin became a top star thanks to this powerful north-western, his first association with Warner Bros,. said Photoplay; “His canine acting is superb. One photograph of him, outlined against the gray sky, is worth the price of admission.” Lewis Milestone as editor interwove two stories, by directors Chester Franklin and Millard Webb. A beautiful tinted Kodascope print. Director Erwin Baron, with Paul Biensfeldt, Hans Kuhnert and Gertrud Welcker. The distinguished German character actor Paul Biensfeldt who plays the lead in Die Geliebte Tote for many years was on the Berlin stage. 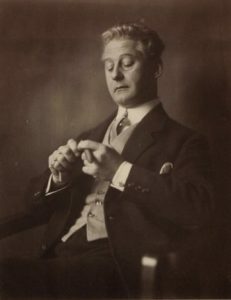 He made his reputation for comic performances under the direction of Max Reinhardt at the Deutschen Theatre, Berlin. He had prolific film appearances from 1913, but did his best work in silent films directed by Murnau, Lubitsch and Lang. The special guest speaker for The Garden of Resurrection is Dr Lawrence Napper, author and Senior Lecturer in Film Studies at Kings College London. 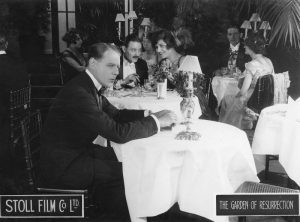 Director Arthur Rooke, with Guy Newall, Ivy Duke, Lawford Davidson and Mary Dibley. Film print from the BFI National Archive. With support from the AHRC project ‘British Silent Cinema and the Transition to Sound’ and of the British Silent Film Festival. Pearl White: A Cliffhanging Life, presented by Glenn Mitchell and Michael Pointon. Dubbed the “Queen of the Serials”, White is said to have done the majority of her own stunts in several film serials, most notably in The Perils of Pauline. 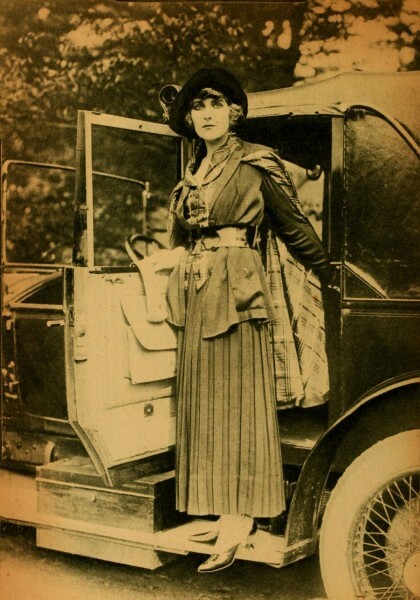 Often cast as a plucky onscreen heroine, White’s roles directly contrasted those of the popularized archetypal ingénue. Director Sidney Franklin, with Constance Talmadge, Ronald Colman and Jean Hersholt. A wealthy American takes his single daughter Dorothy to England. Fearing she will be photographed and hounded, Dorothy disguises herself to fool the awaiting media frenzy. A brilliant comedy starring Colman and Talmadge – at last her films are being rediscovered and she is being revealed as one of the most delightful comediennes of the entire silent era. The film was a big hit at this year’s Slapstick Festival in Bristol. Molly (Mary Pickford) is the eldest resident of a prison-like orphanage run by the abusive Mr. Grimes (Gustave von Seyffertitz), his neglectful wife (Charlotte Mineau) and their diabolical son, Ambrose (“Spec” O’Donnell). She struggles to lead a group of young children to freedom through the treacherous swamps that surround the orphanage where they have all been enslaved. 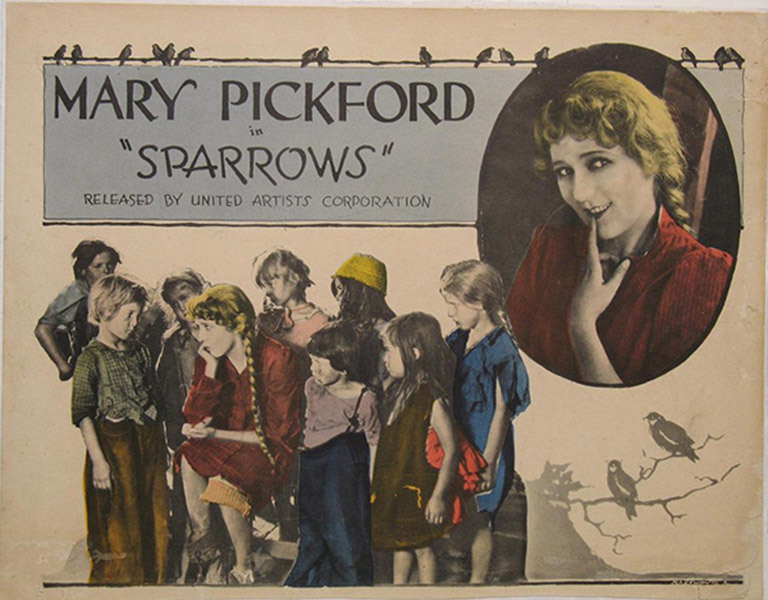 The film was produced by Pickford, who was the most powerful woman in Hollywood at the time. 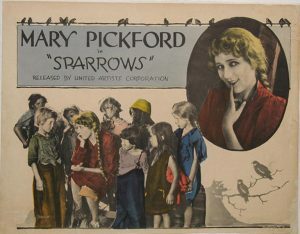 This is the most unusual of all Mary Pickford films -it is as close to a horror film as it is to Dickens or Edgar Allan Poe. Originally entitled The Baby Farm, it so impressed F W Murnau that he took the cameramen, Charles Rosher and Karl Struss, to photograph Sunrise (1927). Ernst Lubitsch sent Mary Pickford a telegram describing it as ‘one of the eight wonders of the world.’ Gustav von Seyffertitz is at his most sinister best. Details of the Sunday programme here.